I have dry skin and have been on the hunt for a gentle cleanser for the summertime (I tend to oil cleanse in the winter). This one has the most wonderful scent and it doesn't make my skin feel uncomfortably tight. 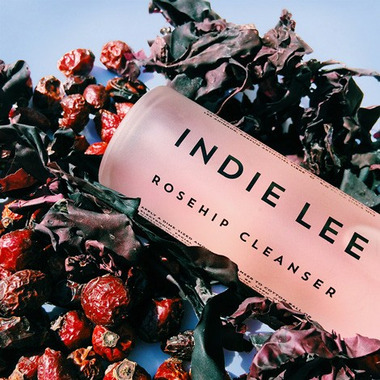 Really into this cleanser. Smelled nice and cleansed my skin, but nothing special. I have been using this product for several weeks and my sensitive skin loves it. Definitely removes the makeup. Would recommend to a friend and will buy it again! Love this product. I have extremely sensitive skin with rocescia and dermatitis. It is gentle and does not trigger any dermatitis flair ups. It also works extremely well to take off makeup. Will order again. I like a sudsy cleanser, which is hard to find in green/cruelty-free beauty; I had heard great things about this one and I was not disappointed. Pretty floral scent too. Smells delicious. Cleanses well, but my skin feels tight and dry afterwards. I'll keep searching for my perfect cleanser. 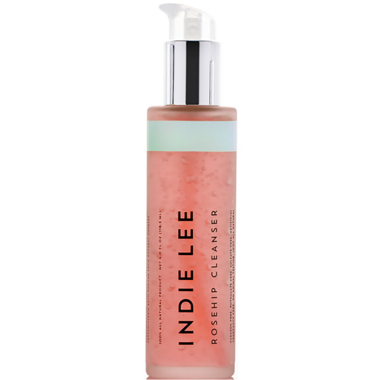 This is the only cleanser that doesn't irritate my skin or cause any allergic reactions. I love it! Please don't ever change. I was looking online for gentle lightly foaming cleansers that won't strip my skin. I found this one on a website that was highly recommended for sensitive skin and only had 6 natural ingredients that are known to help with reducing redness and moisturizing the skin. It comes in a frosty glass bottle with a lock and unlock pump. It has a very light rosy scent that doesn't smell chemically at all and a gel like consistency that foams up slightly with water. I used this as a second step cleanser after my oil cleansing in the evening and found that it helped in reducing my acne scars and some redness over time. I didn't particularly enjoy it as a morning cleanser as it was a little bit drying (didn't make my skin flaky or red just a little tight), mind you I have oily/combination skin, and would rather much enjoy a cream cleanser to moisturize. Overall, after about 3 weeks of using this cleanser, I saw results and would recommend. A fantastic cleansing gel that doesn't dry the skin or irritate it at all. I find it's not that exciting used directly on skin so I always emulsify it, and you do have to rinse well after. The glass bottle and sealable pump are a nice touch. The price, however, is a big downside and, given the ingredients, seems a bit inflated. Time it for a sale! This is a great item. I have rosacea, eczema, and overall sensitive skin, and this is the only product that I can say FOR SURE does not do anything to make my skin worse or more dry. With other products, I always feel like my skin is more dry in the end. This product is great!